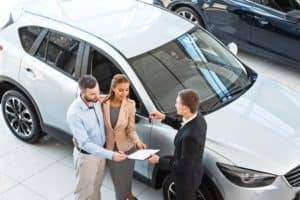 At Doral Toyota, we’ve carved out a solid reputation for being one of the most reliable South Florida used car dealerships. Not only do we have great pricing, but there’s also a knowledgeable staff on deck to connect you with the perfect model. If you are currently in the market for a pre-owned vehicle, our dealership is nearby to help. Just read on to see what we can do for you. When you start shopping for your next used car, you’re going to want options, and that’s just what you’ll have at our dealership. Our used inventory is wide-ranging, with your favorite pre-owned Toyota models front and center among the selection. 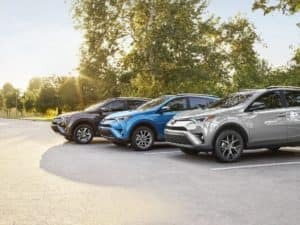 Crossovers like the RAV4 are a popular option in this area, as they have the cargo space for your next beach trip or other excursions. We also carry a number of other brands like Nissan, Honda, and Hyundai. No matter what you’re looking for in your next car brand, our used car dealership has you covered. Beyond mere used cars, we also have a selection of certified pre-owned Toyota vehicles. These have been carefully inspected and refurbished to earn their certification. They also come with extended warranty coverage to grant you a little extra peace of mind out on the road. Customer service has always been a primary concern of our used car dealership. We’re committed to helping drivers here in our showroom, as well as out in your community. Our team is comprised of numerous professionals who are ready to help at a moment’s notice. They’re not just here to help you buy a car, but to craft a full automotive experience for you—something that’s almost as exciting as actually driving a car off the lot for the first time. From sales consultants that will help you select your car to financers and expert service technicians, we’ve got all the bases covered. Our used car dealership is ready to assist you every step of the way. We have a pretty diverse inventory of used cars here at our dealership near Kendall, Hialeah, Miami, and Doral. In order to find the perfect fit for your needs and lifestyle, you might need to get behind the wheel first. We invite all local drivers to take a spin at our South Florida used car dealership. Contact us at Doral Toyota today to schedule your next test drive.